That this game would end up as one of my three favorite strategy games of the year was not something I was expecting. I'm very picky when it comes to mobile games. I also tend to be incredibly skeptical about the merits of those games that were born out of the era of gated, incentive laden, but hollow, Facebook games. Even those that ventured into slightly more active game-play but retained the 'offline attack' PvP systems, didn't really appeal to me. 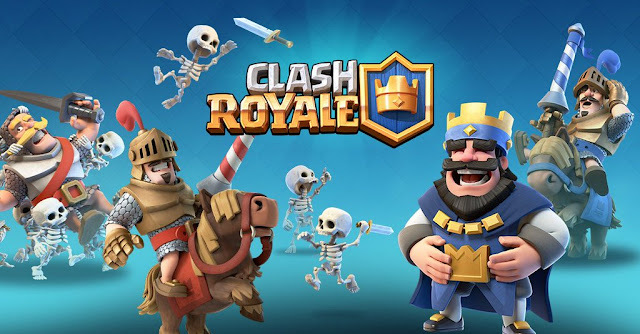 I never quite got into the original Clash of Clans for that reason, so I surprised myself by not just genuinely enjoying their sequel Clash Royale, but also coming to appreciate the fact it's a superbly designed little strategy game. The games core game-play loop is smart, well designed, and (at least for me) insanely addictive. The short play sessions suit the mobile format perfectly, and the touch controls are simple, yet set up to provide a surprising amount of depth and tactical play. But really it all comes back to the superbly elegant core game-play loop. It's extension of good old fashioned rock-paper-scissors combined with the pacing and design of the map mean it's a constantly evolving challenge of beating whatever the current meta at your rank or level throws at you. This one blind-sided me a little, and challenged my perceptions about games that used this format. I'm not entirely convinced it's not an exception to the norm, but if, like me, you hadn't paid it any attention based on what you presumed it would be, it might be worth taking a second look!